There are many types of multi-tools for fly fishers. These tools make it easier for fishermen to attend to the various tasks they need to pay attention to, without having to haul around an entire tool chest. By combining several tools into one, it can easily be clipped to a fishing vest, or slipped into a pocket to be used when it is needed. 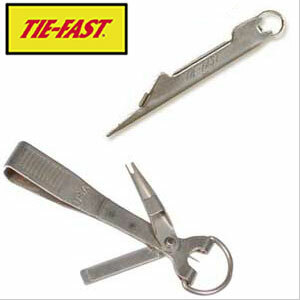 Another method of keeping multiple tools handy is to use a tool lanyard around your neck. These lanyards have small hooks on them, on which to hang your needed gadgets, including multi-tools. 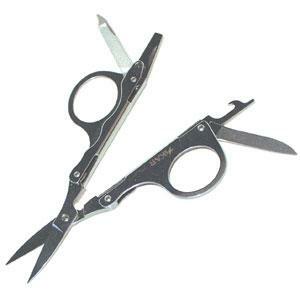 Multi-tools come in a few different forms and at different prices. If you are on a budget, you can still get yourself a handy tool with lots of gadgets that will help you while you're fishing. For under $20, you can find a stainless steel tool that features an LED flashlight, pliers, a saw, a knife, a bottle opener, and both a flathead and a Phillips screwdriver. For even less, you can get a simple combination tool that features a screwdriver, a knife, an awl, a line clipper, and a disgorger. For under $40, you can choose from some interesting multi-tools. There are some creatively designed tools like the one we found that looks like a fish. It contains a wrench, a knife, a screwdriver with four hex bits, a bottle opener, an LED light, and a built-in carabiner so you can hook it to your belt loop. It would make a fun gift for yourself or another avid fisherman. 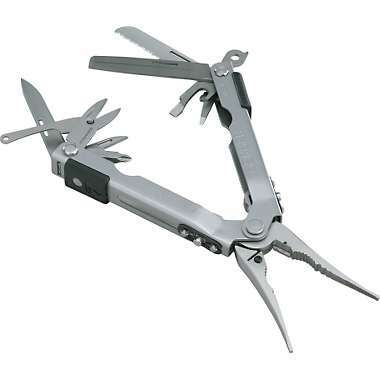 Another more traditionally shaped multi-tool that looks more high-tech sports, has spring-loaded pliers with a wire cutter, a screwdriver with both a Phillips and a slotted bit (the bits are stored in the handle), and a stainless steel knife with a partially serrated blade so you can cut just about anything from rope to small tree limbs. It comes with a nylon sheath and an ergonomic handle. With these combination tools, you get a lot for your money! If you have a little more to spend, you can get even more impressive features on your combo tool. For under $75, you can get one that clips onto your vest of belt loop that features a watch with glow-in-the dark hands and markers, a white LED light, a fold out knife and scissors, an attached split ring, an integrated spring clip, and a compass. And if you have a $100 or more to spend, you can get an incredible combination tool with an amazing 24 tools. This stainless steel combination tool gives you 4 different screwdrivers, wire cutters, a can opener, a crate opener, scissors, a metal file, two saws, a reamer, a chisel, a wire stripper and more. With one of these, you're set no matter what may happen. 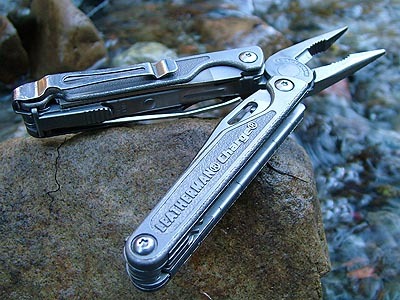 To be assured of a quality product, companies like Leatherman and Swiss Army are both well known and respected for their products in this line. There are certainly many other companies that also make quality combination tools that you should also consider, but you can't go wrong with these two. You'll want to learn how to care for your combination tool as well so you can keep the edges sharp and your tools ready to use. Be sure and follow any care instructions that come with your tool to keep it in proper shape. The best thing about multi-tools, besides the fact that you have so many tools at your fingertips, is that they are so well-suited for fishing. You can cut line, pull a hook from a fish, cut a branch that is in your way, clean your fish for an impromptu meal, and take care of any other tasks that may need to be done. It is probably one of the most useful things you can include in your fly fishing kit.